I'm ready right now! Sign me up! At a private home on the South Side of Chicago, close to Lake Michigan. Ideal candidates have already taken a doula training and have been working with clients in some capacity, or have been trained as a childbirth educator. Ideal candidates are also interested in being a community resource, perhaps through networking, facilitation of support groups, or classes, etc. Ideal candidates also recognize the importance of continuing education and introspection. This will be a small group retreat. Registration is limited to 15 people. A special surprise to remember Level UP! What should attendees plan to bring for this event? Anything you want. You are a grown person. You get to be you, a person, where ever you choose to person. Casual attire is fine. Shoes will be asked to be removed once inside. Ahhhhhhmazing! I'm ready to sign up. Amy Gilliland Ph.D is an accomplished speaker and strives to make the research she creates almost immediately usable to those she presents to. We have her with us to discuss unpacking communication, trauma, doula roles, and intimacy. A more detailed topics list will be added soon! This is not simply a presentation. It's a level up. It's a retreat. Questions will be asked, and while wading through the answers, each person will be able to uniquely glean information that can be applied to their unique locations and passions. We will take advantage our group size and dive deep into how our connections with each other and our clients leave a lasting impression, and have the possibility to make real change. We will be taking advantage of the incredible minds gathered at lunch and tape an episode of A. Swift Moment facilitated by our hosts, Kate, Catie, and Ariel, and allowing any interested attendees to take part. If this isn't your jam, no problem. There will be separate space for any not comfortable being recorded during this portion of the day. What happens with the registration fees? We believe wholly in compensating professionals for their time and knowledge. Part of your fee will go to bringing the speaker to be with us. We are also passionate about helping local communities, and any funds in excess to the needs of this event will be donated to a non-profit whose cause we believe in. This retreat will benefit the non-profit Change Columbus, as they work toward helping fill the diaper gap in Columbus, OH. Cool. I'd like to help with that cause, too. We, the hosts - thought-leaders, spirit-builders, parenting-champions, manifestors-of-awesome - are Kate Herzel, Catie Mehl, and Ariel Swift. 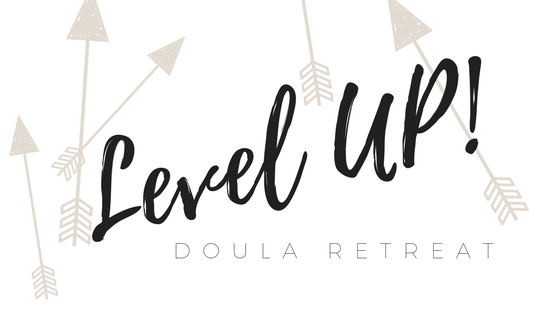 Combined, we facilitate a 500+ person Facebook group called ​The Tough Love Doula Group. Apart we own and operate Heartland Doulas, Columbus Birth & Parenting, and Doulas of Chicago. Keep me posted! This all sounds amazing!